How long will my marine coatings last? Durability is often one of the first topics to come up when discussing marine coatings. How long will this coating last? Given our emphasis on the importance of marine coatings maintenance, it’s something we put a lot of thought into. As with any coating application, a lot of factors go into predicting the lifespan of marine coatings. When it comes to exterior marine coatings and durability, ship and barge owners have some pretty simple expectations. A good exterior marine coating must have excellent corrosion protection, high UV-resistance (it’s not like tugboats pull into a garage come quitting time), high gloss retention, and solid abrasion resistance characteristics. Even with these characteristics, the coatings that protect the hulls of barges are faced with an uphill battle. 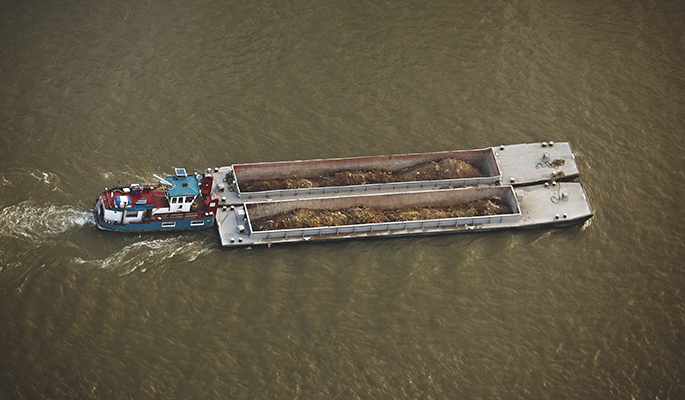 With all the abuse they encounter—from raking against other barges, scraping river bottoms, hitting driftwood and other debris—it’s normally a good idea to maintain these coatings every two to four years, when the barge is dry-docked for maintenance. Besides the hull, coatings in other areas of a vessel face their own challenges. Non-skid coatings are safety coatings that are popular because they reduce or even eliminate fall hazards in high-traffic areas. But because non-skid coatings are subjected to such heavy foot traffic, they’re susceptible to wear and it’s important that owners keep a close eye on them and pick the best option for their application. One solution we often recommend is an epoxy-based system, where an aggregate is broadcast onto an initial, wet application and then a topcoat is applied over that. The aggregate can be anything that can be ground up into a fine material that’s still course enough to cause friction. Some of the most common are glass, coal slag and sand. When it becomes apparent that the coating has reached the end of its life expectancy, it should be replaced immediately. A consultation with a certified coatings professional will leave a barge owner with a much better understanding of how long a coating will hold up under given conditions. This meeting should also work to establish a maintenance plan, which will simplify service schedules moving forward, and give the owner a better idea of how to budget for coatings. The professional should be able to give options at several price points, tips for extending the coating’s lifespan, instructions for proper maintenance of the coating and specific recommendations for how and when to reapply the product. If you’re ready to talk now about marine coatings for your barges, get in touch with US Coatings today. Comments Off on How long will my marine coatings last? Coatings are capable of more than just protecting against corrosion. Though that may be their most important job, and one that keeps crews working on barges and tugboats safe from the obvious problems associated with a corroding hull, coatings are also capable of playing a wider role in making marine vessels safer places to work. We’ve written before about how, for a fraction of a facility’s maintenance budget, safety coatings can help to cut back on workplace accidents. The same holds true for the marine market, maybe even especially so, given the tendency of surfaces constantly exposed to moisture to become slippery, the eye strain of going from a bright, sunny deck to a dark cargo hold or the especially high stakes of a fire while on the water. Non-skid coatings are becoming recognized as essential in the marine market. Given that, according to OSHA, slips, trips and falls rank behind only motor vehicle accidents as the cause of workplace fatalities, it’s not hard to see why non-skid coatings are so important. Beyond simply being effective at preventing wet surfaces from becoming slippery, non-skid marine coatings need to be durable, easy to apply (especially if they’re going to be applied while on the water) and they need to retain their function even if subjected to fuel or chemical spills. Luminescent coatings also have a lot to offer the marine market. Making the transition from sunny conditions above deck to much darker conditions below deck can strain the eyes. Often the pace of work doesn’t allow time to let the eyes adjust. But glow-in-the-dark marine coatings can illuminate obstructions both overhead and underfoot. Bulkheads, low-hanging ventilation systems and narrow walkways can all be made more visible with a solution that’s inexpensive, easy to maintain and also serves as a reliable backup in the case of a power outage. But the most important area for luminescent coatings is the leading edge of the tugboat or barge. In low-light situations, or in the case of a total power outage, an illuminated bow will give the crew and others an idea of the outline of the vessel. This can prove instrumental in avoiding accidents. Given the potential costs of a fire while on the water, fireproof marine coatings are certainly an option for making vessels safer that should be explored. Intumescent coatings protecting a the structural steel of a vessel can make the difference between the outbreak of a small fire and completely losing the craft. If a barge’s normal operations put it at an increased risk of encountering a fire, fireproof marine coatings make obvious sense. Ensuring that potable water tanks are lined with an NSA-approved tank lining is another essential step in looking out for the well being of crews. This ensures that the fresh water supply is safely contained and free from contaminants that could cause sickness. Recent booms in domestic oil production have seen an increase in oil moving by barge. This influx of oil traveling our nation’s waterways makes it worthwhile to remind owners that oil leaks are not solely caused by collisions. Especially given the new composition of crude, tank linings should be the subject of intense scrutiny. If transporting fuel that was extracted by hydraulic fracturing, a barge’s oil tanks should be equal to the task, lined with a product that can withstand higher concentrations of water. Unfortunately, the American public is all too familiar with oil-related incidents on our waterways. Don’t let an improperly lined tank be the next headline-grabbing catastrophe, talk to a coatings professional about the state of your barge’s tank linings and ask about how a marine coatings maintenance plan can help to simplify the upkeep, while protecting against costly incidents. Download our product catalog to find a reliable marine coating. Keeping a barge in shape to run rivers is no easy task. During its life of ferrying goods up and down waterways, a barge is constantly encountering driftwood and other debris in the water. Its hull regularly scrapes the river bottom. Its also guaranteed to spend a large amount of time moored to other barges, where a rising and falling wake leads to a lot of bumping and raking for it and its neighbors. On its interior, the barge is subjected to regular loading and unloading of cargo which can cause impact damage in the case of dry goods, or pitting and rusting in the case of corrosion caused by liquids. On top of all that, tugboats are expected to support the living needs of a crew that spends long stints aboard while working the river. Given the constant motion of both cargo and crew, it’s no surprise that regularly scheduled maintenance is a critical part of extending the service life of a vessel. At regular intervals, key components such as engines, pumps and generators need to be checked to make sure they’re working properly. 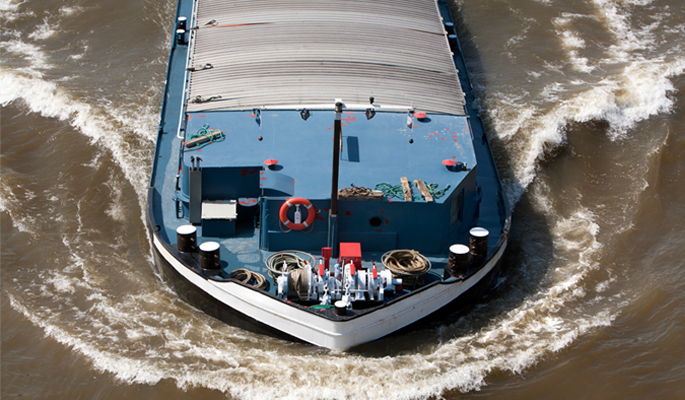 The marine coatings that protect barges and tugboats are no exception. When it comes to tracking the life cycle of each vessel’s coating system, there’s a lot to keep in mind. Which areas of the barge or tugboat were last painted? What type of coating was used on the area? Was the deck painted with a non-skid coating? What sort of chemical resistance was required of the coatings used to line the barge’s storage tanks? Have potable water tanks been lined properly? Is the coating deep enough into its service life that it needs to be replaced before the asset is put back into service? Now imagine you’re in charge of this routine for a fleet of barges that numbers upwards of 100. 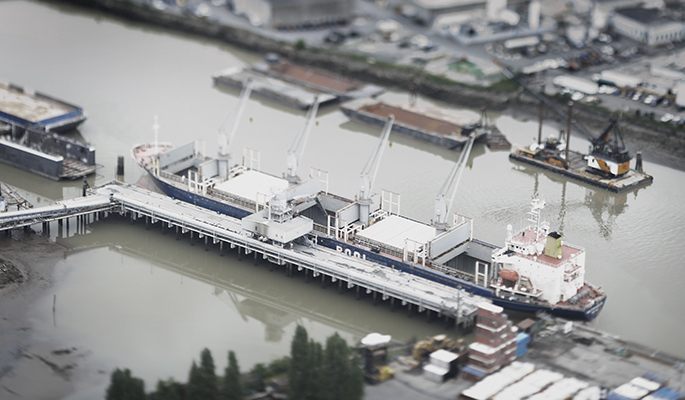 A task that required diligent work for one barge is an enormous logistical burden for an entire fleet. Luckily, there are ways individuals in charge of marine coatings can make things easier on themselves. It’s possible to get together with a coatings manufacturer to design a coating that perfectly coincides with the other facets of a barge’s maintenance schedule. Say a barge is dry docked periodically for scheduled maintenance, a coating can be designed with exactly that intended service life. This way, a given maintenance task can also serve as a reminder that a coating’s service life is up. US Coatings can also provide total asset analysis tracking along with its coatings. This enables us to keep tabs on every aspect of your marine coatings maintenance schedule. We can remind you when coatings were applied, what area they were applied to, the product specifications and alert you when a coating is nearing the end of its service life, for every vessel in your fleet. With digital record keeping of the fleet’s coatings maintenance schedule, it’s possible to look up when work was last done on a vessel and when it’s next scheduled to receive service. It’s our way of simplifying the way you do marine coatings maintenance. For a consultation on simplifying you marine coatings maintenance operation, get in touch with us today. We can talk coatings specifications, tracking your coatings and formulating a budget so your marine coatings are never the cause of future surprises. The advent of hydraulic fracturing has brought with it rapid economic growth and the previously undreamed of promise of energy independence for the United States. It has also completely changed the way the storage and transport of crude oil is approached. Most owners of crude oil storage tanks, and the railroad tank cars that transport it, have recognized that fracking introduced many aggressive chemical components to the crude oil that previously got along pretty well with steel. Those that haven’t come to this realization find themselves at an increased risk for the sort of corrosion and pitting of storage tanks and tank cars that invite spills and significant environmental degradation. Corrosion is the result of oxidation, which can’t occur except in the presence of oxygen and water. With traditional methods of oil extraction, some water was present in the crude oil, but usually in trace amounts and suspended in the oil where no oxygen was able to reach it. As a result, for the vast majority of the time humans have been extracting crude oil from the earth, the storage tanks and transport vessels used to move it did not need to be lined with protective coatings. Storage tank owners could save money by not lining their tanks, with minimal risk of corrosive damage ever being a problem. To this day, it’s not unheard of to encounter companies still requesting that railcar manufacturers not line the inside of their cars. Fracking has forced a change. Because drastically more water is used in the process of hydraulic fracturing, greater care needs to be taken to protect against corrosion. While transporting oil obtained by fracking, water and oxygen are both abundant, meaning corrosion is once again on the list of concerns for owners of storage tanks and railroad tank cars. Storage and transport of crude oil obtained by fracking is not just a concern for owners operating near traditional hotspots of extraction like Texas, the Dakotas and the Gulf Coast. Storage tanks are commonplace across the United States, holding newly extracted crude as it makes its way to refineries, where still more storage tanks hold it while the crude waits to be refined. Given the current scale of fracking operations across the United States, if only ten percent of owners have not upgraded their tank linings to address this reality, there are an enormous amount of storage tanks vulnerable to pitting, corrosion and leaks. Crude’s journey, too, has prompted concerns over the safety of transporting by rail. Some estimate that over 1 million barrels of oil are being extracted per day, and that 9 million barrels are riding the rails at any given moment. A standard railroad tank car can hold about 740 barrels. If railcar owners want to help protect against legal action, there’s no reason the latest railcar linings shouldn’t be a part of that strategy. As a part of stricter regulatory legislation that is in the works, there should be at least some attention paid to minimum standards for railcar linings. Fracking is a water intensive enterprise. By some estimates, somewhere between 70 billion and 140 billion gallons per year are required. Some are searching for a process to recycle this “frack water,” while others believe it’s best disposed of by pumping it into deep underground wells. Whatever solution emerges, storage and transport of this byproduct will become an increasing concern for as long as fracking keeps up its current pace. This presents a problem. The chemical blend used in frack water is regarded as proprietary by the companies who use it. Without knowing exactly what they’re protecting against, coatings manufacturers can’t stand by the tank linings they supply to protect assets. Certain variables make it more difficult to predict which products will be effective. If the byproduct still contains rock debris or other abrasives, for instance, an additive such as flake glass may lead to better performance. Without knowing the exact composition of the substance these tanks are holding, coatings manufacturers cannot guarantee a given product will provide adequate protection. Companies in charge of storing and transporting this wastewater should therefore be closely investigating the tank linings they use, making sure they’re up to the task. We want to simplify the process of selecting linings for both storage tanks and railroad tank cars. To do so, we’ve put together a guide complete with system selection guides, chemical resistance charts, data sheets, case studies and more. You can download it by clicking the link below.